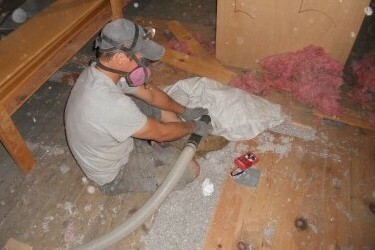 Spaces beneath floorboards in the Oakley Center’s attic were packed with cellulose. In 2013 in partnership with Massachusetts insulation contractors Energía and Cozy Home Performance, the Zilkha Center installed new insulation in the Oakley Center for the Humanities and some faculty rental properties to increase energy efficiency. Most of the new insulation is Cel-Pak cellulose, made from recycled newspaper that has been shredded and treated with natural boric acid to make it fire- and pest-resistant. Cellulose was pumped into empty cavities in the buildings, attics and walls that face outdoors. The inexpensive-yet-effective cellulose replaces less efficient materials and less sustainable methods of the past and is projected to reduce fuel use dramatically when winter arrives and heating systems are fired up. Jesup front lobby gets a lighting makeover.